Lil’ Kids Zone is our nursery and preschool ministry that provides a safe, nurturing environment where your child will feel comfortable coming week after week. Our focus is for children to build a spiritual foundation on the knowledge of these truths: God made me; God loves me; and Jesus wants to be my friend forever. Kids Zone is our K-5th grade environment where elementary aged children enjoy a small group/large group approach to learning God’s Word and the three basic truths: I need to make the wise choice; I can trust God no matter what; and I should treat others the way I want to be treated. What will my preschooler be learning in Lil’ Kids Zone? The Lil’ Kids Zone Preschool curriculum is called First Look, which focuses each little one on the wonder of who God is through age appropriate and interactive learning activities. What will my elementary student be learning in Kids Zone? The Kids Zone curriculum is called 252 Basics based on Luke 2:52: “And Jesus grew in wisdom and stature and favor with God and man.” Children will have the opportunity to interact with leaders and peers in a small group environment and a large group environment. Small groups of same age peers connect with each other and their leaders through interactive activities and creative Bible lessons; and large group allows for K-5th graders to come together and learn about the Bible story and virtue of the month (Life App) through music, prayer, and drama. What will my family’s first visit be like in Kids Zone? A Welcome Team Volunteer will guide you to our Kids Zone Check-in Desk where you and your child will register. You will be given stickers for you and each of your children. The child’s sticker will have his/her room number on it. 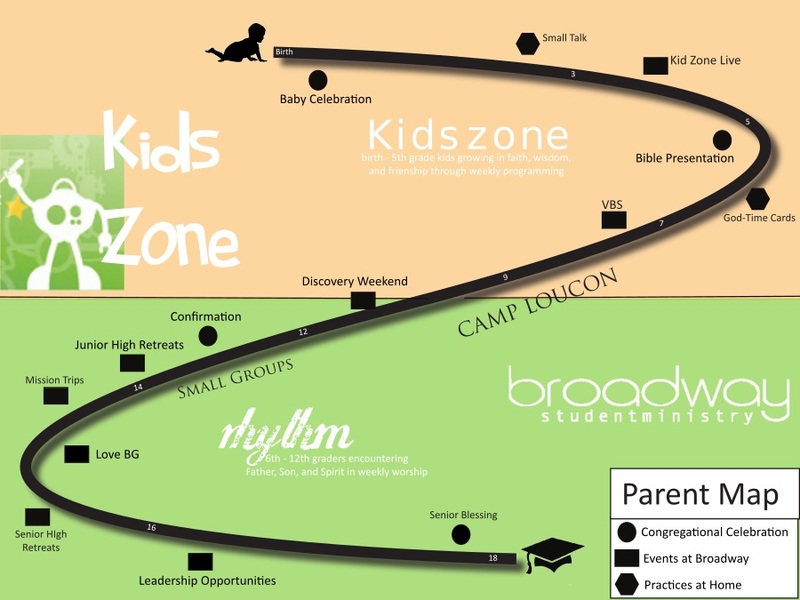 After registration a Kids Zone Volunteer will help you locate your child’s classroom(s). Please be sure to keep your parent sticker. It is used to verify that you are your child’s parent. The number on your parent sticker will display in the service if we need you to return to Kids Zone to attend to your child. Stop at the check-in area if you have more than one child, so that we can let you know which classroom needs you. What will pick-up be like following worship? When picking up your child, go directly to your child’s classroom. Your child’s teacher will match the code on your child’s sticker with the one on your parent sticker. Once the match is verified, your child will be released to you. Please turn in your parent sticker to pickup your child. Does my family have to complete a visitor registration form every time we attend after our first visit? No. You can simply go to the Family Check-In Kiosk located in the Kids Zone area where our Greeters will be glad to assist you. Our Kids Zone Team’s goal is to be your biggest fans and strongest supporters as you lead your kids on their spiritual journey. We have collected age appropriate tools for you that help jump-start faith conversations at home and build upon lessons learned in Kids Zone on Sunday mornings. The FREE Parent Cue App provides parents with simple cues throughout the week to help them connect with their kids through everyday moments — in the car, at the dinner table, at bedtime. Find great tips to help guide your child into a deeper faith by installing this FREE app for your Apple or Android below. We are so excited for the chance to meet you and your family! We want to make sure your first visit to Kids Zone is a positive experience. Please feel free to print and fill out the Visitor Registration Form before your visit. Bringing the completed form will help with check-in on Sunday morning. Contact us with any questions you may have. The Parent Map outlines Broadway’s plan for spiritual guidance and church partnership for children birth-graduating high school.